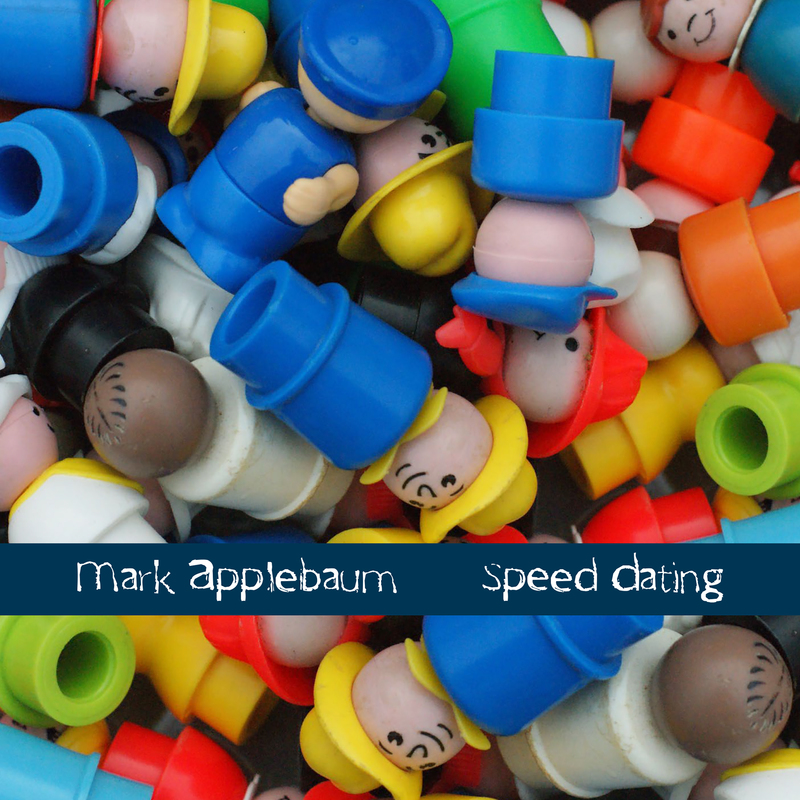 Mark Applebaum has never been one to shy away from making connections, even odd ones. In fact, one could argue that’s what composing is all about. In his latest assemblage, Speed Dating, five smartly absurd works (three of which deal with history in some wry fashion) are presented for your kind consideration (if not downright bemusement). The album opens with a tip of the hat to pioneering soundpoet Charles Amirkhanian, who, in 1972, famously made a rhythmic tape piece (Just) out of the words rainbow, chug, bandit and bomb (deliciously articulated by Nicholas Slonimsky). In Applebaum’s Three Unlikely Corporate Sponsorships, he uses his own voice contrapuntally, ranting ever more hilariously about the injustices of the world today. Biting socio-political commentary has rarely been more foot-tapping. Applebaum reached into his home storage space and fired up eight classic analog synths from the 80s that had been lying there. Skeletons in the Closet uses a randomizing digital Max patch to operate on these dusty treasures, no doubt frustrating purists while delightfully mangling the past. Speed Dating, another octet, this time for acoustic instruments (in fact the Stony Brook Contemporary Chamber Players, led by Eduardo Leandro) is based on coy pairings in strange orgiastic combinations. Unlike in Shakespeare plays, no marriages result. In addition to the odd instrumental partnerships, the players have to vocalize mating chirrups in response to custom wristwatches supplied by the composer. The Plate of Transition Nourishes the Chameleon Appetite comes roaring back from 1992 with Belgium-based violinist Takao Hyakutome deftly navigating the various mercurial and laconic formal options laid out by the composer. The resulting violin mauling is downright virtuosic. Finally, in Clicktrack, a dozen percussionists (Southern Oregon University Percussion Ensemble, led by Terry Longshore) make a quiet Cageian racket, following precise rhythms in their headphones while the audience hears scratchy noises and fragments of text (actually anagrams of Shakespeare sonnets). The humorous and provocative album is vintage Applebaum; not for the unprepared. Especially the third track, Halliburton, that comes with a Parental Advisory warning for strong language.